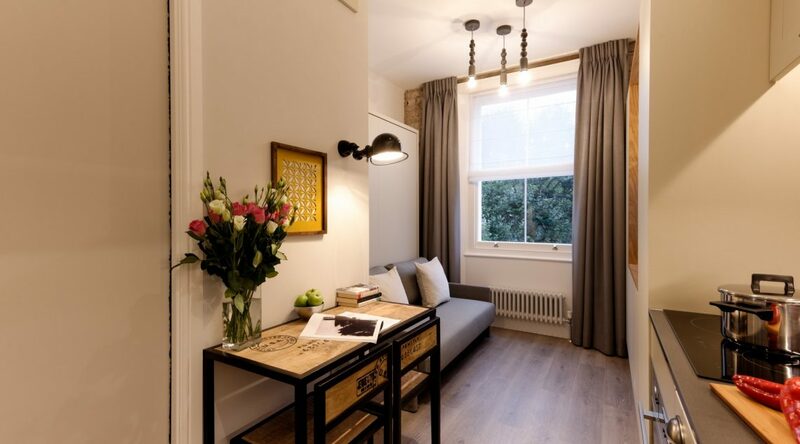 Apartment LG25-31 - Notting Hill Apartments Ltd. 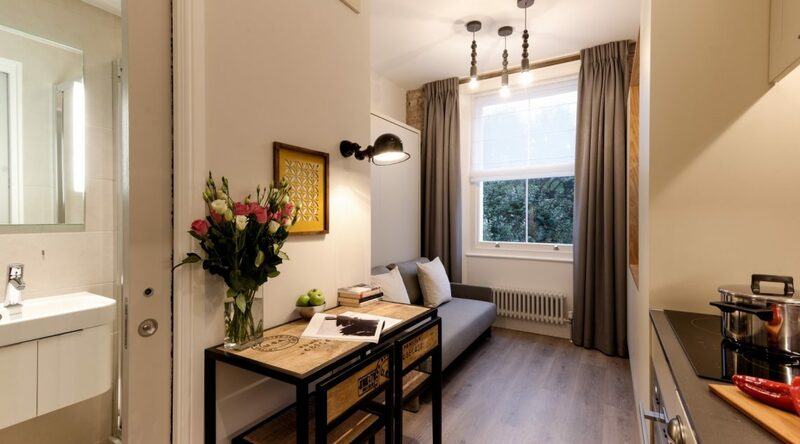 This lovely, interior designed, studio apartment is on the third floor of a pretty Victorian house in Notting Hill. 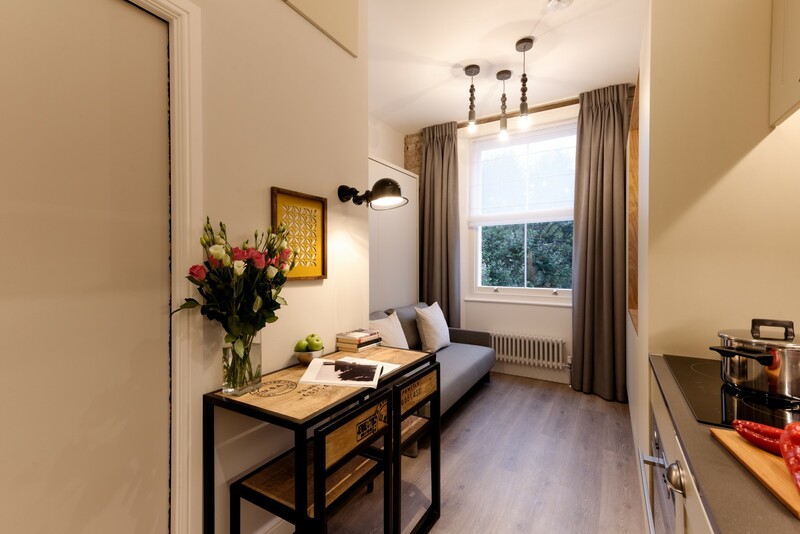 The house is on a quiet tree lined street yet just a few minutes’ walk away from the buzzing Notting Hill area of London. The apartment has been stylishly refurbished with oak floors, exposed brickwork, designer lighting and custom made joinery making it a contemporary and inviting space. The large window has lovely views of the gardens and trees below and together with the skylights provides plenty of natural light. The comfortable sofa forms part of the stylish Italian Clei bed system which means quick and easy conversion into a comfortable double bed and providing additional space when folded up. Curl up with a book and the views of trees or enjoy lazy Sundays watching box sets on the large flat screen TV, whether from sofa or bed. A retro dining table and chairs provides a place for cosy meals or a laptop work space. 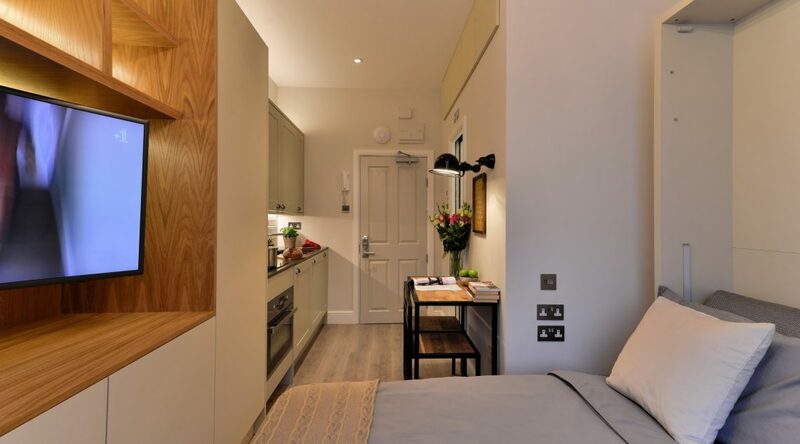 The recently installed Shaker style kitchen includes an integrated oven, hob and fridge freezer, and all the gear you need to prepare your favourite meals. A separate, shared laundry room in the building with washers and dryers means no trips to the laundromat carrying heavy bags! 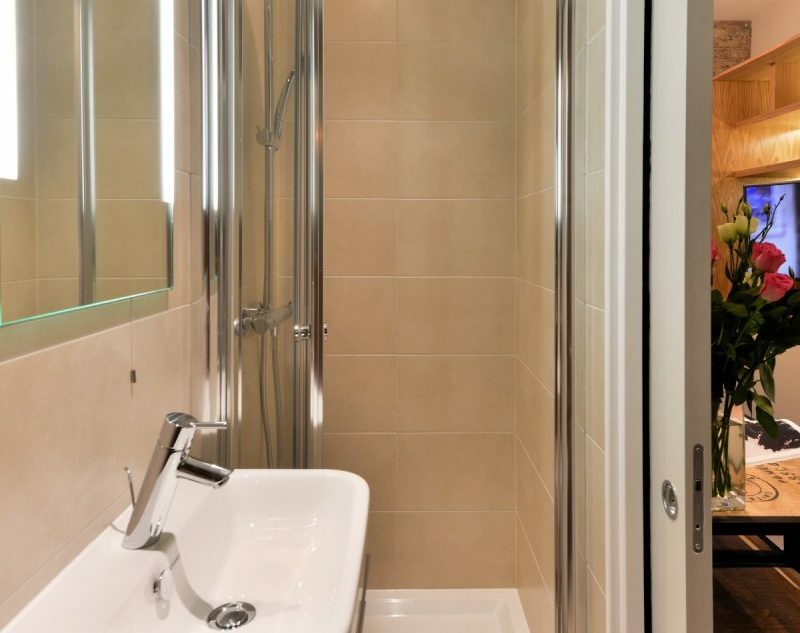 The modern, tiled bathroom has underfloor heating and a powerful walk in shower with separate hand shower to start your day feeling refreshed. 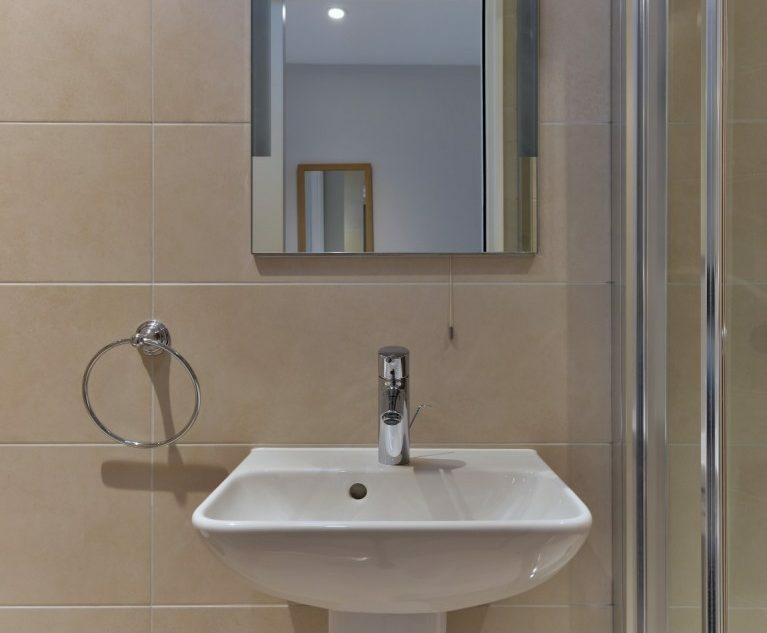 Our apartments are fully serviced which means that when you rent an apartment with us, the weekly rent includes all utility bills (electricity, gas and water), TV and free WiFi. 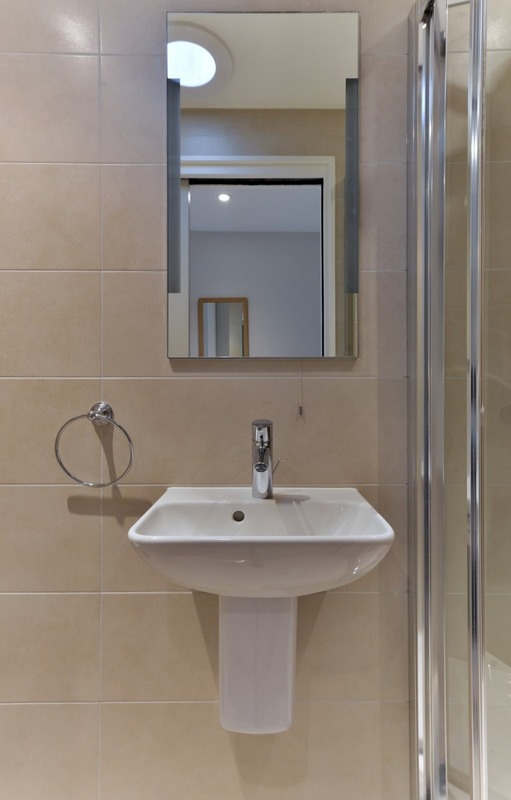 A weekly cleaning service can be provided by separate arrangement. The building has CCTV security and an entry phone system in the apartment. 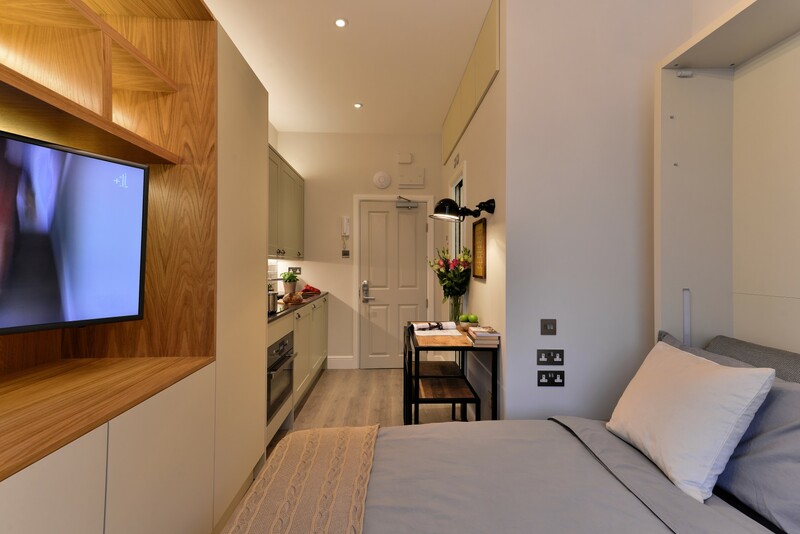 The Tube and numerous bus routes are just a five minute walk from the apartment which makes this an ideal location for exploring London. 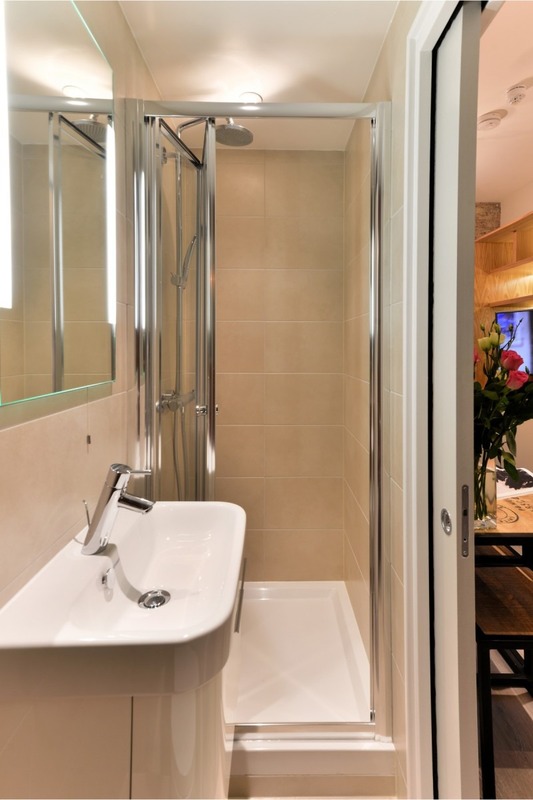 If you are looking to rent an apartment in London, Notting Hill is a perfect base and also a popular destination for many Londoners. It is a wealthy and picturesque area with a village feel and a variety of great shops, pubs and restaurants. The Famous Portobello Road Market is a short walk away, as are numerous other clothing and food stores and trendy boutiques. Find out more about the area in our area guide.